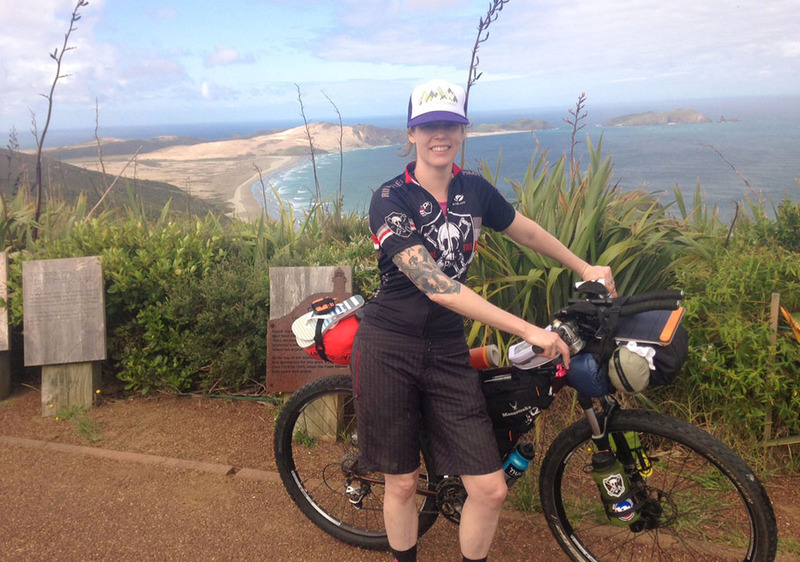 Our first annual Bob Swanson Memorial Grant recipient, Casey Sheppard, fulfilled her dreams of riding her bike across the north and south islands of New Zealand with the money she won from this grant. Watch her trip documentary below, and read more about who Bob was and what he meant to us here at Big Agnes. Casey Sheppard lives a life of adventure as a nomad. From van life to riding a bike solo across a foreign country, no feat is too big (or too small) for her. Her passion for adventure has led to endless stories from the road. As a Content Creator, Casey authentically sculpts these stories into blog posts, videos, stop-animation, photos and lectures. She works with like-minded brands and organizations around the world to help spread positivity and good juju to others. Casey is a contributor for Women Who Explore, was the first recipient of the Big Agnes Bob Swanson Memorial Grant (2018) and was named Best Digital Content by Upventur (2017). Casey is also a speaker, writer, film maker, secretly wishes she was Tank Girl, loves everything bikes, boxer dogs, whiskey, and loves every Indiana Jones movie. Yes, all 4 (soon to be 5)! This grant was created by the owners and staff of Big Agnes in honor of our colleague Bob Swanson who passed away in 2016. Few in the outdoor industry today know of Bob Swanson or his contributions. He co-founded Sierra Designs, founded Walrus tents, then sold that to REI and followed it up by working for REI for several years before going out on his own. Big Agnes was fortunate enough to connect with him, and a long relationship was born. His passion for design centered on tents and tent architecture. He is widely recognized for ushering in the use of hubs into tent architecture and represented the cutting edge of shelter designers. Bob was truly a man of the world. He had traveled extensively and was happy to share tales of adventures to exotic locations, but only when prompted. He never boasted of his experience or travels. Mention a motorcycle and he would talk of the early days of motocross and riding in Baja with open-faced helmets ‘back in the day’. Talk of sailing or boats led to sea kayak or canoe camping stories, or his time in the Navy aboard a mine sweeper, and then in mine-detection research. Talk of music around Bob and he would casually mention that he was there at Altamont Speedway when the Rolling Stones played, and the Hell’s Angels killed a man. He was there for the opening party at the North Face retail store in San Francisco when an upstart band called the Grateful Dead played the gig. Backpacking, cycle touring, trekking in the Himalaya and wine tasting trips took Bob to all corners of the globe. 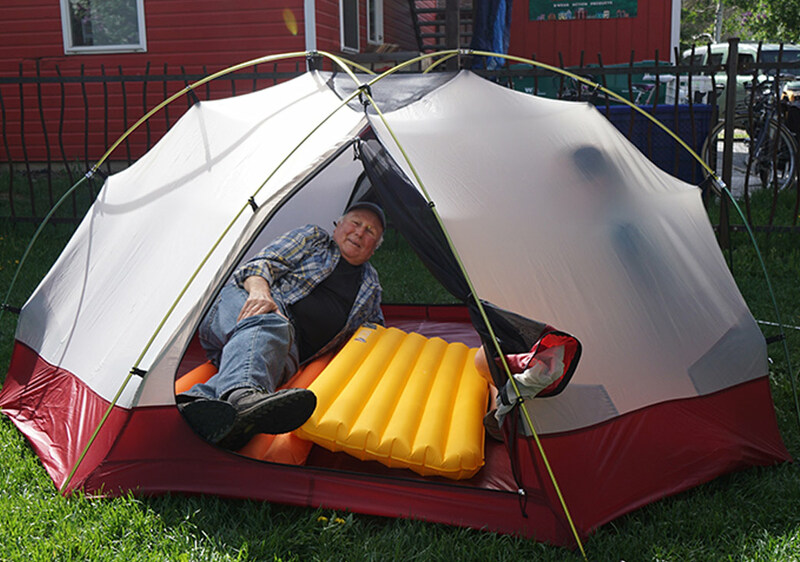 We had the pleasure of working with Bob here at Big Agnes for more than a decade. His business card included the title, ‘The Tent Guy’. And while that was fitting professionally, he meant so much more to us as a friend, role model, sage and pioneer of the outdoor industry. Our grant committee will seek to help those who seem to best embody Bob’s spirit and love of life and adventure. Read the rest of our blog about Bob Swanson, his career and his passing HERE. In Bob’s memory, the grant will award funds of varying amounts depending on the prospective project needs and its budget. Grants will generally fall between the $500 to $1,000 range. Grants will be awarded once a year and will be announced at the Winter Outdoor Retailer tradeshow. The three month application period is open from January 27th through April 5th, 2019 each. Applications must be completed and submitted online no later than 11:59PM MST on April 5. Please note your project might not meet the criteria and responsibilities below so please read carefully before submitting an application. Applications will be available at www.bigagnes.com. Applicants must describe how their proposed adventure will push new boundaries in some way, use creative problem solving to overcome unique challenges and help them grow as an individual. Realize that some of the best adventures were literally planned on the back of a napkin. This grant is for individuals ages 18 and up, of all ability levels, and to fund all types of exploration. All projects must occur within one calendar year of the award date. This grant is for individuals only, if you are part of a team then your teammates must apply as well. Applicants who have secured financial support from other corporate sponsors or grants programs will be eligible. We ask that applicants disclose monetary or other in-kind corporate support to help our committee understand their financial needs. All applicants must be U.S. citizens or green card holders to apply. U.S. Social Security Numbers are required for tax purposes. Applicants may only apply for one grant per year and past recipients may apply more than once. Approximately two to three months of returning from your project, all grant recipients will be required to submit a trip report. Failure to do so will result in the recipient no longer being eligible for future grants. The report details will be established prior to the start of the trip. This will include at least two blog posts, photo images and/or video, and whatever else may be agreed upon prior to the trip. The recipient will then be an acting ambassador for Big Agnes in the outdoor community and beyond. They will be expected to promote the mission and values of the company domestically and abroad. Recipients will use their best practices of protecting the environment by being as low impact as possible, and using leave no trace ethics. All photos and/or videos the recipient submits with the trip report are property of Big Agnes. These may be reproduced in any way Big Agnes sees fit for marketing or promotional purposes.